The Manam actress is all set to start a business venture with her associates and posted a message on social media making the announcement. 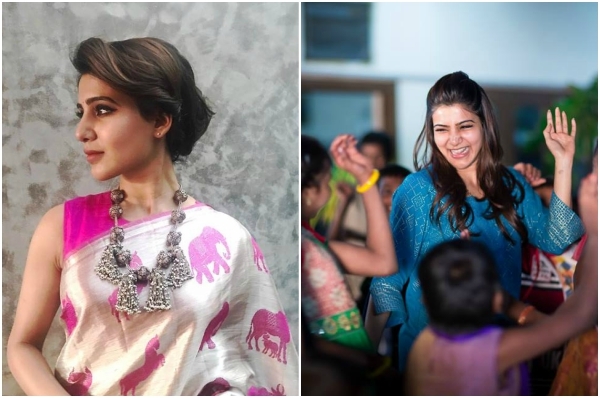 Samantha Ruth Prabhu is one of the top stars in Telugu and Tamil cinema after having worked with many top stars in both the industries including Mahesh Babu, Pawan Kalyan, Jr NTR, Suriya, Vijay and Vikram. Having started her career with Gautham Menon directorial Ye Maaya Chesave in 2010 with Akkineni Naga Chaitanya in the lead role, Samantha Ruth Prabhu rose to stardom gradually with her performances in all these flicks. Samantha Ruth Prabhu is also a philanthropist and does her bit l for the welfare of the society. Samantha runs a foundation by name Pratyusha which focuses on welfare of women and children. Started in 2014, Pratyusha was conceptualised by Samantha herself and is one of the most successful foundations in South India and the actress actively participates in all the activities of the foundation. After having already achieved so much at such a young age, Samantha is definitely gunning to achieve much more in coming years. We wish you only the best to all your future endeavours Samantha Ruth Prabhu! a good actress and a better human and the best entrepreneur. all the best for ur new venture sam. As usual, u will pull it off..